Curcumin upregulated mitochondrial uncoupling protein 2 (UCP2): UCP2 plays an important role in mitochondrial homeostasis and its optimal functioning has been associated with increased lifespan. GreenMedInfo.com houses a database of 1597 abstracts from the National Library of Medicine on the health value of turmeric and/or curcumin in over 600 health conditions. 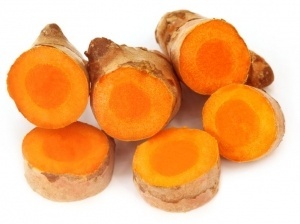 View them all here: turmeric health benefits . Of the 177 distinct beneficial physiological actions documented within this literature, 114 of them concern the spice’s neuroprotective properties. View them here: neuroprotective properties of turmeric . While this latest study, and most of the research on our turmeric database is preclinical, there are reports of turmeric causing significant improvements in cerebrovascular dysfunction diseases such as Alzheimer’s. In a previous article titled, “Turmeric Produces ‘Remarkable’ Rocvery iin Alzheimer’s Patients ,” we reported on the ability of turmeric to produce dramatic improvement in patients suffering from behavioral and psychological symptoms of dementia. Folic acid: While most of the positive research on this B vitamin  has been performed on the semi-synthetic version, which may have unintended, adverse health effects, the ideal source for this B vitamin is foliage, i.e. green leafy vegetables, as only foods provide folate. Also, the entire B group of vitamins, especially including the homocysteine-modulating B6 and B12,  may have the most value in Alzheimer’s disease prevention and treatment.